For 15 years now, Padre Mario Leon Dorado has been living an extraordinary life. Looking at the humble man walking around in his slippers might not impress you and his day-to-day tasks might remind you of the tasks of any other Catholic priest, but the place where Father Dorado conduct his services might surprise you more. Father Dorado is holding Christian ceremonies in the middle of the Sahara – in the city of Laayoun, to be precise. Laayoun was, until 1975, the capital of Spanish Sahara, an overseas province of Spain which was given up by Spain only to be occupied by neighbouring Morocco right away without any treaty signed. Its native people, the Sahrawis, to this day don’t have a country for themselves and many things have been stuck in limbo, claimed by Morocco but never truly ceded. Such is the church of St. Francis of Assisi, where the padre spends most of his time. To this day, the Church is supposed to be the property of Spain but clearly sits in the middle of what is now a provincial capital of Morocco. When I met the padre, he was telling me that this building was probably the oldest building of Laayoun, since it is somewhat protected (there are actually Spanish officials staying in Laayoun to protect some buildings but they have no real authority) as heritage while the rest of the city has been rebuilt. 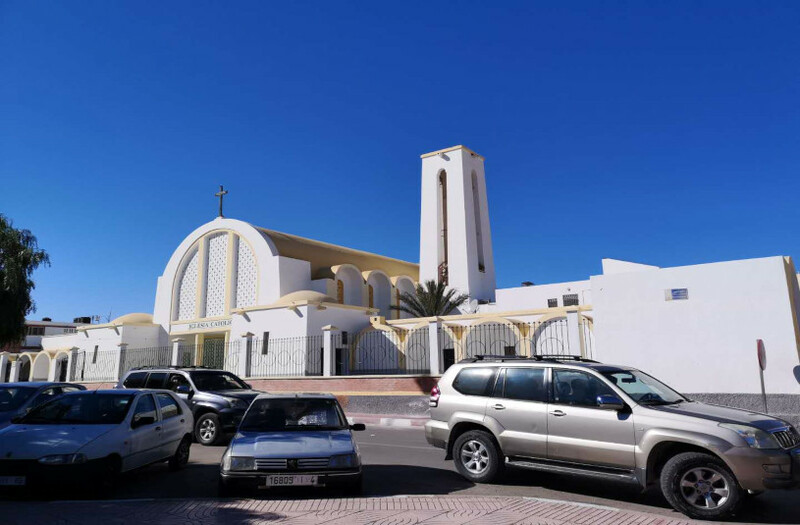 The church was built under the rule of Franco and is one of the only two non-Muslim places of worship in all Western Sahara, the other one being situated in Dakhla, down south. 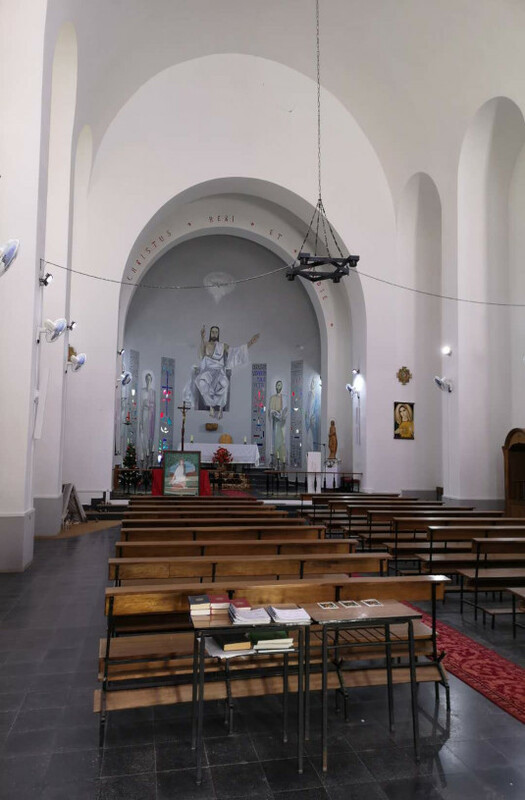 Together with two other priests, the padre ensures that these two churches and the one in Rabat, the Moroccan capital, are functioning and serving Moroccan Catholics. Padre Mario doesn’t have many followers either. When I met him, he was telling me that, on a good day, there could be 15 parishioners present at Mass. His flock is mostly comprised of UN workers here to assist Sahrawi refugees and monitor the state of the frozen conflict. 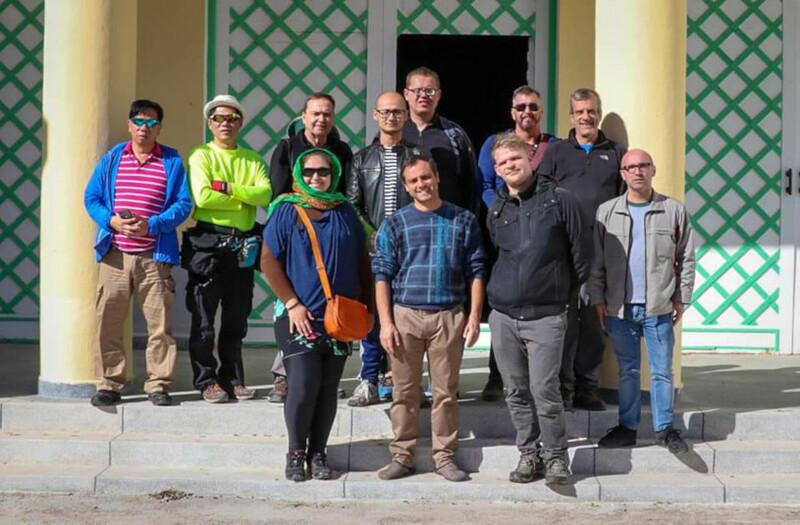 In Dakhla, there are a few more people at each service – around 30 – composed again of UN workers but also migrants from Mauritania, Mali and Algeria. The padre was telling us that everyone who is part of the Christian community in Morocco (and Western Sahara by extension) is a foreigner. The thing is that, while belonging to a religion other than Islam in Morocco is totally fine, renouncing Islam – or apostasy – is a crime punishable by death. And since people are born into Muslim families, that doesn’t leave much room to flirt with other belief systems. Another crime is to proselytize for non-Islamic religions. One might think that this puts Padre Mario in a delicate situation, but he was telling me that as long as you know the “three red lines” and use common sense, life around here as a priest is quite pleasant. The three red lines can be seen drawn in Arabic all over Morocco and even more here in Western Sahara: God (as in Allah), the country and the King. Saying anything against those would be very ill-advised. The padre also says that he will not engage in religious discussions but will gladly answer questions. He also makes sure that another witness is there every time in engages in a conversation about religion. According to him, the local population is very curious and extremely hospitable. The padre has been travelling every week across Western Sahara and Morocco, going about with his tasks and serving a very small community, in one of the weirdest states in the world, sticking to traditions which could disappear quicker than footsteps on a dune. 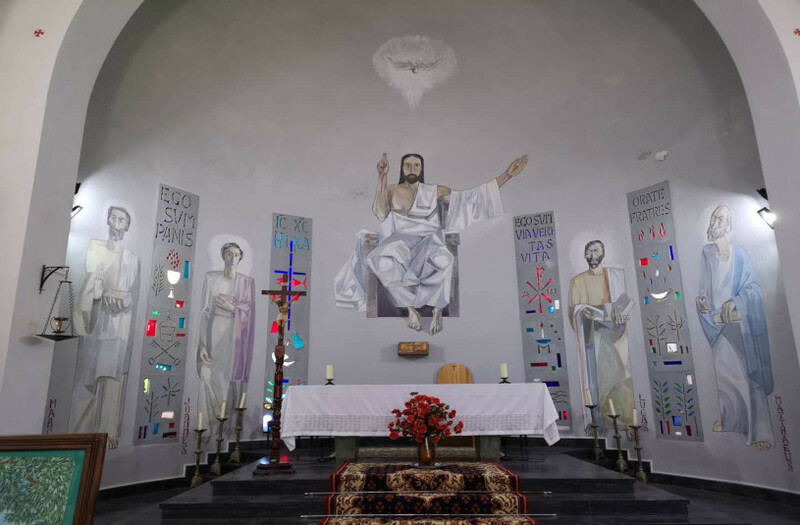 To do so, he has learned French, English and Arabic in both its standard form and local dialects, and conducts masses in all those languages depending on the needs of his congregation. Visiting the church in Laayoun and meeting this extraordinary character was a highlight of our trip. You can get the chance to meet the padre on our next installment of YPT’s Saharan Odyssey!